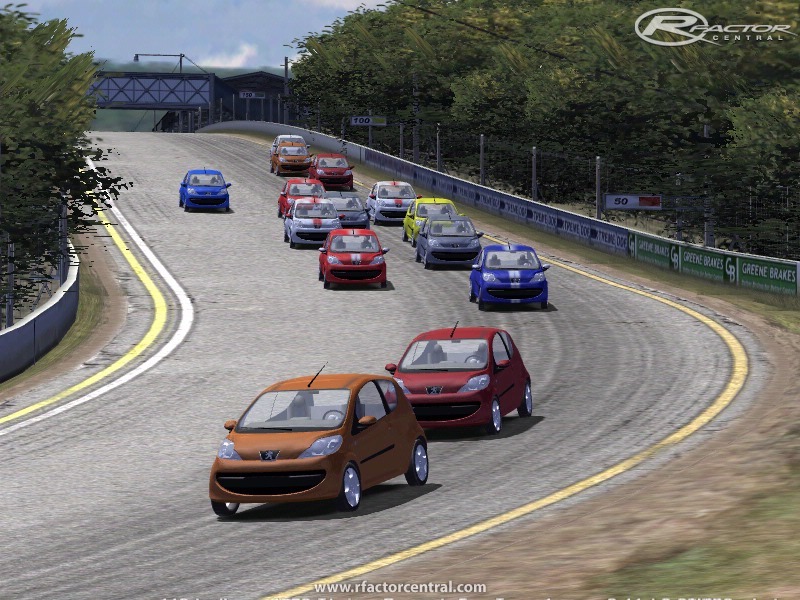 The Peugeot 107 is my first attempt at creating a car for rFactor. 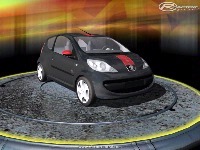 I began with a small car, because it is easy to model and the physics could be inspired by other cars. For next car, I will try to improve the cockpit view. 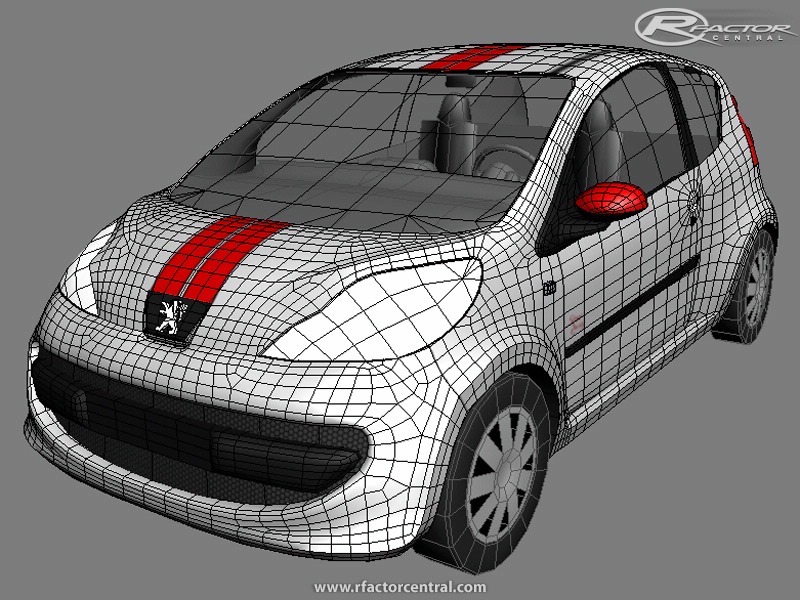 There are currently no setups for Peugeot 107. Add a Setup. 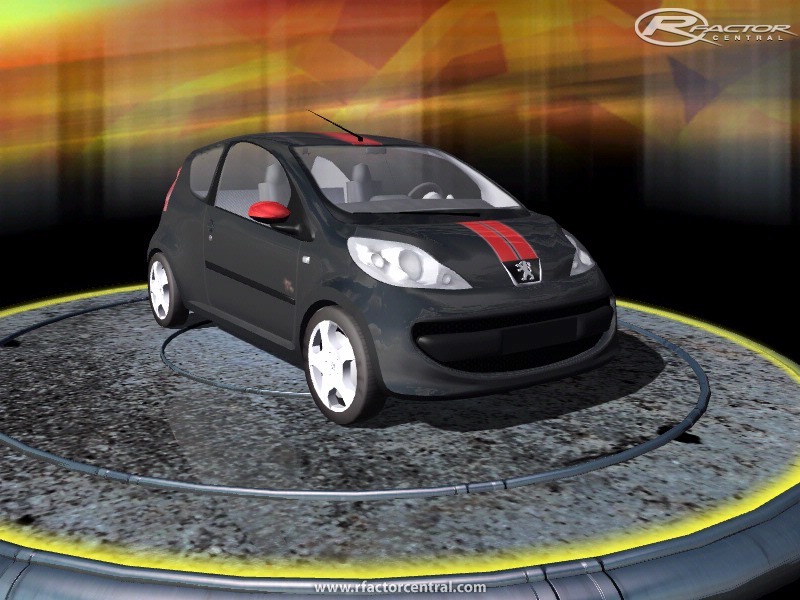 There are currently no car skins available for Peugeot 107. If you are a painter you can share skins for this mod via the Car Skins area. Visit the Spray Booth for painting tips & tricks. Actually Steven if you read the Pros and Cons in reviews of the Aygo one of the "Cons" was a tendency to snap into oversteer. A a kart racer this "Con" was one of the things that convinced me to get one. Under power I would agree there would be a slight understeer but power off the back steps out. 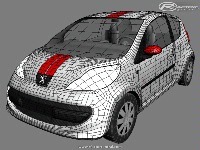 has anybody the will to design the Peugeot 208 T16 of Seb. Loeb as he uses at the Pikes Peak Hillclimb last? I think it is too fast. It handles much better then a real car. My Aygo does go to 170, it's chiptuned ! and I agree that the car should'nt have oversteer as it's a front wheel drive car, it has slicght understeer. Thanks for the reply. The mod actually goes up to a speed of 170, not 163 as you have stated. The mass of the car is from carfolio.com and I'm sure it's easy to change the mass. For the gear ratios, would it be OK if you created two, one realistic and one just for fun? I just feel that rFactor needs a realistic street car. The braking also seems to be a bit too strong, the brake mean effective pressure is 1171 kPa (169.8 psi). Please also increase the size of the speedometer, it's too small now. License plates would be great too! No problem nfshp253. You're right about most of your remarks. About the weight, I think I am right (without draiver at least), for top speed, I think the simulation goes to something like 163km/h, and the "official" data is 157, not bad... about the acceleration and ratios, you're right, that is not the reality, but if I just stuck to reality (and I tried), the car would be very uninteresting to drive. I prefered to make it more funny even if I had to be a bit unreal. Idle engine... I don't know what is the idle rpm actually, but this is not long to change (one number in the engine.ini). For the rest, I will probably update it in a few days. Oh, and by the way, I heve not been very deep in the physics, but I think the car oversteers a bit. I would like it to be more "stuck on the road", as it is a small car not very powerful. Does someone know what values I should change for that ?